Get ready for extreme shine! Each color is formulated with the highest quality ingredients to give you the ultimate glow! When we close our eyes and think of Hawaii. A rich, bronze hue with multi-colored sparkle effects in gold, bronze and chocolate for a stunning, radiant glow. Each color comes in a sleek, black mirrored compact adorned with an authentic heart shape Swarovski crystal. Also included is our fluffy highlighter brush for achieving the perfect glow, and our black signature satin pouch to take your Sweet Cheeks Highlighter Compact with you. Can be worn on the face, eyes, body and more. 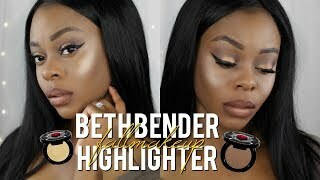 Beth Bender Beauty Sweet Cheeks Highlighter in Why Kiki? amplify's the skin with true light-reflecting pigments for a multifaceted, and luminous finish. Buildable coverage lets you personalize your glow, while superb color payoff and a non-dusting formula allows for a flawless application every time. The unique, velvety formula gives the skin a natural and radiant glow that lasts throughout the day. 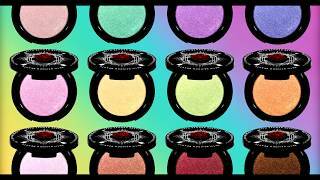 Buildable hues that can be applied wet or dry. Sweep on Sweet Cheeks Highlighter in Why Kiki? to bring luminous, radiant color instantly with one stroke of a brush. A high-impact, light-reflecting powder, perfect for playing up your best features. Each custom blended shade offers a gorgeous, natural-looking radiance with different effects. Can be used to highlight the face, eyes and body.